Huawei Mate10 Care is to provide a screen damage warranty by replacing your screen due to any accidental damage cause the screen to break. *Huawei Mate 10 Care only applicable on Huawei Mate 10 and Mate 10 Pro. 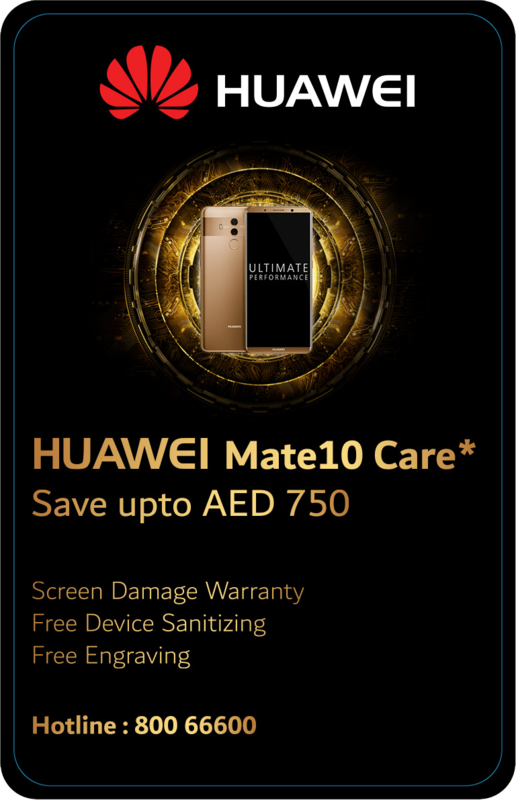 Huawei Mate10 Care is an offer that includes repairing any screen damage only one time during the first 6 months from the date of purchase. 2. 100% original spare parts will be used for repair. 4. In case of the accidental total damage in which the device is not repairable by replacing components/parts then the customer won’t be entitled for screen replacement. 5. In case of any accidental damage of components/parts other than the screen customer will need to pay the cost of replacing the other parts while Huawei will replace the screen under the program. 6. 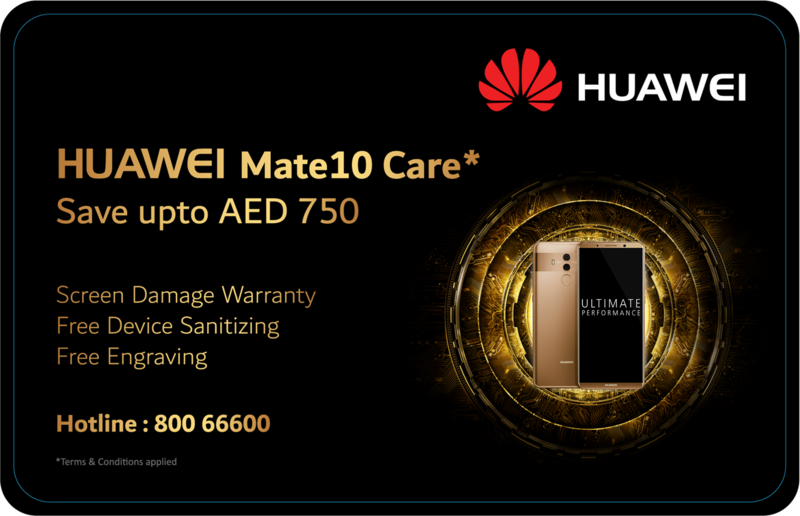 Huawei Mate10 Care program only applicable on the Huawei Mate10/ Huawei Mate10 Pro which purchased from Huawei authorized dealers in UAE. In case of any conflict between this service and mandatory local laws and regulations, local laws and regulations shall prevail.